If you suffer from dry, itchy, irritated eyes, it’s likely that you’re familiar with artificial tears. But did you know that there is a faster, more effective form of dry eye treatment? Get relief from chronic dry eye with iLux®, a revolutionary new device that uses gentle, light-based heat to heal blocked tear ducts quickly and comfortably. 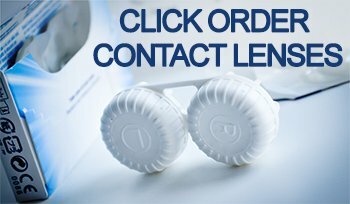 Keep reading to learn more about dry eye syndrome and treatment in Livingston, NJ or click the button below to schedule a Dry Eye Consultation today! Dry eye syndrome is a common condition that develops because the eyes don’t produce enough tears, which results in itchy, irritated eyes. A healthy layer of tear film is essential to keep your eyes lubricated and comfortable. 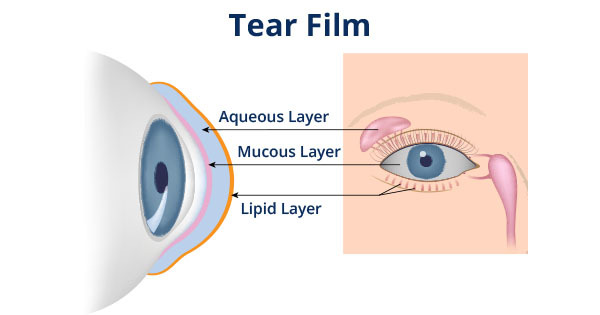 Tear film is a protective, watery coating of tears that is comprised of three layers. The inner (mucin) layer spreads the aqueous layer over the entire eye as well as protects and nourishes the underlying cornea. The middle (aqueous) layer is watery and nourishes the eye with water-soluble proteins. The aqueous layer is produced by the lacrimal glands of the eye. The outer oily (lipid) layer prevents the watery layer from draining too fast. The lipid layer is produced by the Meibomian glands. Each layer of tear film works together to protect and lubricate the eyes, reduce your risk of eye infection, wash away foreign particles, and maintain the overall health of your eyes. Since dry eye can be caused by multiple factors, it’s important to schedule an eye exam with an ophthalmologist to determine the cause of your symptoms. Once your doctor has diagnosed the underlying cause of your dry eye, it will be much easier to prescribe an effective dry eye treatment. Your doctor may perform special tests to diagnose the cause of your dry eye symptoms. Dry eye tests measure the volume and quality of your tears, and/or how long it takes the eye to produce tears. The Schirmer’s test is used to determine if enough tears are being produced to lubricate the surface of the eye. If the eyes produce an inadequate amount of tears, your doctor may decide to proceed with a form of dry eye treatment. Epithelial staining involves administering special eye drops that contain a form of non-toxic diagnostic dye. Once the eye drops are applied to the cornea, the color-changing dye helps identify areas of the cornea where damage has occurred as a result of dry eye syndrome. During a Meibomian Gland Evaluation, your eye doctor will press on the glands of the eyelid to see if oil is being secreted normally. It’s also important to provide your doctor with a brief medical history, as that may reveal lifestyle and environmental triggers that could be the cause of your dry eye syndrome. At Associates in Ophthalmology, our team of eye care experts is committed to offering the best treatment for dry eye in Livingston, NJ. We use cutting-edge technology and state-of-the-art procedures to provide patients with long-lasting relief from dry eye symptoms. In addition to standard dry eye treatment such as artificial tears, prescription medications, punctal plugs, and Lipiflow®, Associates in Ophthalmology is now offering dry eye treatment with iLux®, a small, portable device used to reduce painful dry eye symptoms. What is iLux® dry eye treatment? iLux is a dry eye treatment device that fits in the palm of your hand. The iLux system allows your eye doctor to provide safe, effective dry eye treatment using gentle heat and compression therapy. Blocked glands in your eyelid are the primary cause of dry eye syndrome. iLux is a simple in-office treatment that works to unblock the glands by applying gentle heat and pressure to your upper and lower eyelids. After treatment with iLux, the glands in your eyelids can function normally. This results in sufficient production of meibum, a natural oil that’s needed to keep your tears stable and healthy. 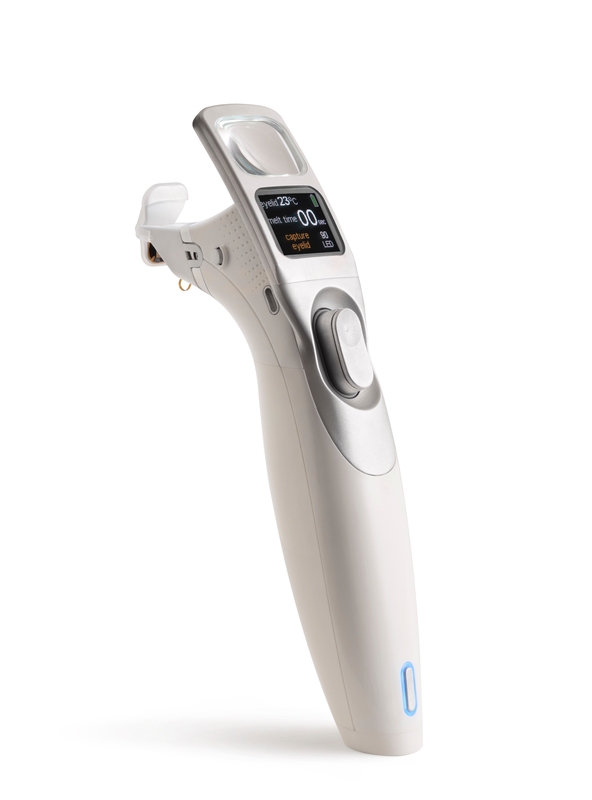 Your doctor will use the iLux device to view the glands of your eye and determine which areas require treatment. The device is then used to gently capture your eyelid between two soft pads. Light-based heat is applied through the iLux device to melt meibum inside the blocked Meibomian glands. Your doctor will lightly press your eyelid to expel the meibum and flush blockages from your tear ducts. How long does iLux® take? 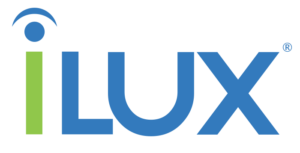 iLux treatment typically takes less than 10 minutes to complete. Most patients feel an improvement in their dry eye symptoms immediately after the iLux procedure, with significant improvement after two and four weeks. After treatment, you’ll be scheduled for a follow-up visit to assess the results and determine if further treatment is needed. Your doctor may recommend utilizing a warm compress, artificial tears, a sleep mask, or prescription medication to ensure long-lasting relief from dry eye symptoms. Is iLux® right for me? Only an eye care professional can determine the best dry eye treatment for you. Contact us now to schedule a thorough dry eye evaluation at our eye care office in Livingston, NJ. Our team of experts provide safe, effective solutions for dry eye symptoms so you can see clearly and comfortably!